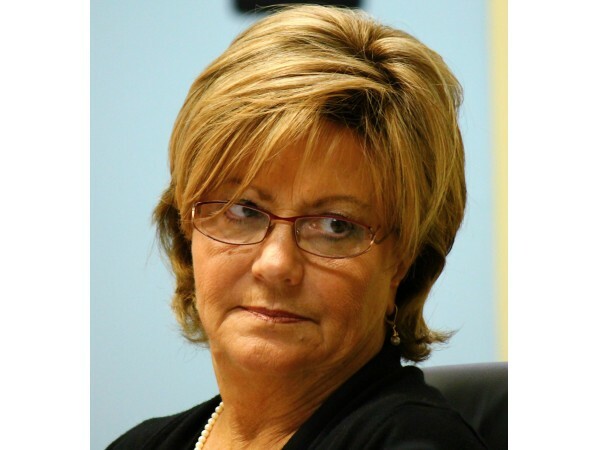 Pinellas County Commissioner Janet Long proposed the Regional Council of Governments Cronies last year and is one of the biggest advocates for regionalism and taking away local control in Tampa Bay. Long used a late midnight rule by the Obama Admin mandating regionalizing MPO's as her excuse for such proposal. However, we posted here her excuse went away with the November election. The mandate rule was eliminated overwhelmingly on a bipartisan basis by Congress in early May. Regionalism is all about money and higher taxes. Regional entities are the structural mechanism used to ram all the tax hikes thru for costly rail boondoggles. Voila! Long's regional vision for transportation includes regional taxing for transportation in addition to local jurisdiction funding. Long's proposed Regional Council of Cronies was modeled after SANDAG (San Diego Association of Governments). 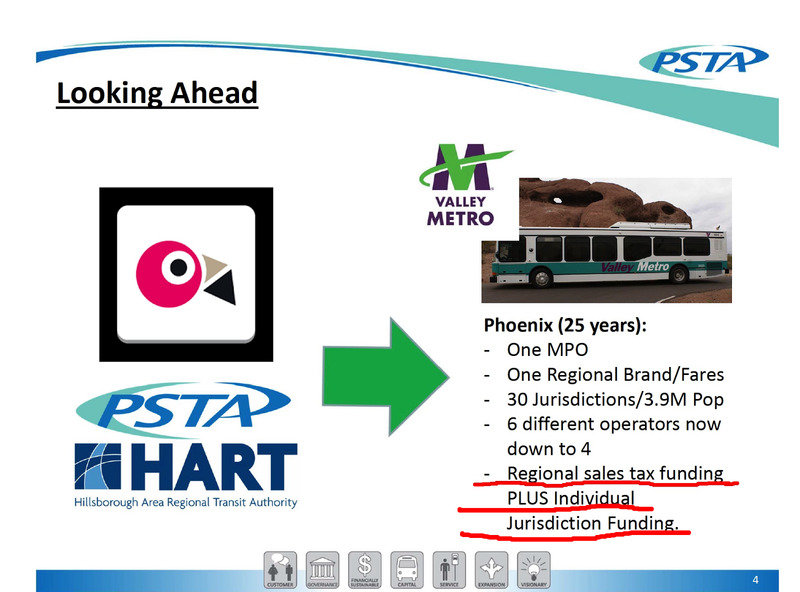 SANDAG put a 40 year half-cent sales tax hike on the ballot last year that failed. However, Long thought so highly of SANDAG that she used her position as Vice-Chair of another bureaucracy, the Tampa Bay Regional Planning Council (TBRPC), to stage an event in February erroneously titled Innovations In Regional Transportation. The Eye was at the event and there was very little presented about real transportation innovation. Transportation innovation is occurring in the private sector but almost all the speakers at this event were the same recycled taxpayer funded bureaucrats we've all heard before who have nothing new to say. Long needed to stage an event so she could invite SANDAG's Executive Director Gary Gallegos to be the events featured speaker at lunch. An investigation has found the San Diego Association of Governments has "forfeited the public's trust" in its response to a scandal surrounding last year's Measure A tax proposal. Executives pressured staff to delete documents and shield them from public records requests. SANDAG knew a year before the 2004 election that TransNet wouldn’t collect $14 billion, but it didn’t tell voters. This is now the third instance in which SANDAG either knowingly overstated how much money it could collect to pay for transportation projects, or understated how much projects would cost to complete. It was reported last week that Long's role model, SANDAG's Gary Gallegos, decided to resign amidst all the mess created on his watch. Of course Gallegos resignation occurs after SANDAG's Board gave him a 4% bonus last December boosting his salary to $310K - even though the sales tax hike failed, lawsuits were filed against the tax hike ballot initiative, SANDAG illegally and unethically used public money on advocacy and the scandal was brewing. Long is misguided, misinformed, has bad judgment or cannot Google because scandalous SANDAG is no model to follow. And as WFLA reported last month, Long is a globe-trotting county commissioner who likes to spend other people's money traveling the world. 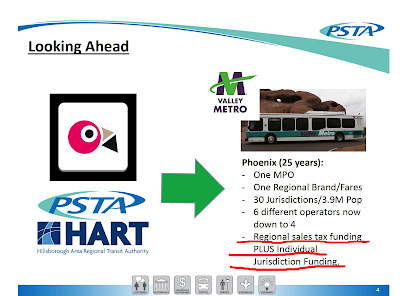 So what does PSTA, already known for its own scandals, bad judgment and mismanagement, do? Reward Long by appointing her to the new highly politicized TBARTA regional transit agency already stacked and packed with too many politicos. But Long is just a piece of the puzzle being put together and orchestrated for what's ahead. Another tax hike referendum(s) in 2020….Stay tuned. Great post Sharon Calvert. Thanks for keeping you eyes on the moving and hiding and hard to locate storms. More sunshine, less storms!